Learners are most likely to retain knowledge acquired through active engagement with the teacher and the content. “Chalk talks” incorporate principles of active learning and are inherently engaging for learners. In this instructional method, the teacher highlights key content by writing and illustrating on a chalkboard, whiteboard, or other large surface throughout the presentation. This technique incorporates learner contributions, thereby promoting a shared ownership of the content and learning environment. This format also encourages peer-to-peer instruction and group learning, as opposed to the traditional “teacher-to-student” model. 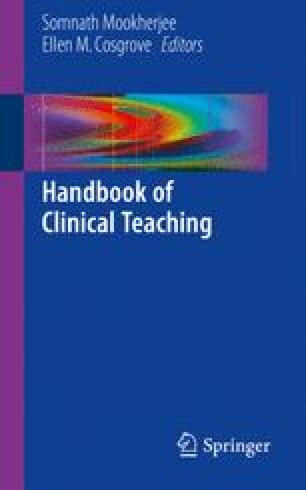 The sections below prepare clinical teachers to give effective chalk talks.